Wear the adorable porg on your sleeves with these Star Wars: The Last Jedi Porg Cufflinks. 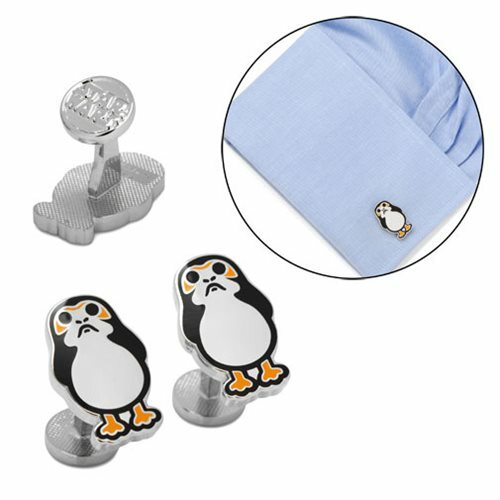 Featuring non-other than the super-cute porg these cufflinks are made of plated base metal and enamel. Measures approximately 7/8-inches x 1/2-inches, they come with a fixed backing displaying the Star Wars logo.Ages 14 and up.